The first English card from the English version of “Absolute Judgement” is revealed! 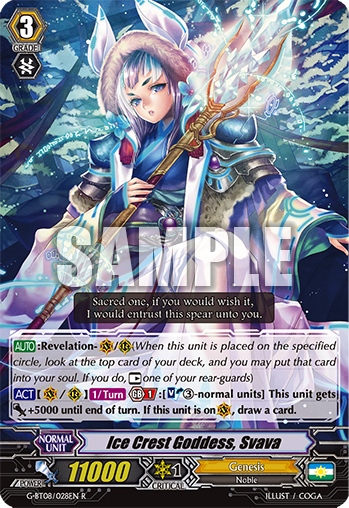 [ACT](VC/RC)[1/Turn] Generation Break 1 (This ability is active if you have one or more face up G units in total on your (VC) or G zone):[Soul Blast (3)-normal unit] This unit gets [Power]+5000 until end of turn. If this unit is on (VC), draw a card.